When it comes to medical uses for 3D printing, over the past couple years, the world has been introduced to a plethora of them. We’ve seen 3D printing used to aid surgeons in complicated surgeries by creating a tangible replica of the organ or bone that needs operating on. We have also seen it used to create custom prostheses which fit patients to a t. At the same time, the technology has been used in the creation of casts, with several companies and individuals trying their hand at replacing the traditional plaster-based casts that are used when someone breaks a bone, with a more modern 3D printed plastic version. One Russian-based company, called Zdavprint, appears to see great potential in 3D printing casts. It’s not only them that sees the potential that this new technology could provide to the old tradition of setting, placing and holding a broken bone in place to heal. Maxfield Capital also realizes the potential, so much so that they have invested $100,000 into Zdravprint’s product and idea. There are many benefits to these new casts, which at this point in time can not totally replace the more conventional plaster-based versions. These modern-day casts are water friendly, so there is no longer a need to put a plastic bag over an arm, leg, finger, etc. while showering or bathing. Preliminary studies also show that bones are healing a lot faster with these new devices. Another great benefit that they provide is that because they are not permeable. This means that water and other liquids such as sweat won’t be absorbed, which have a tendency of causing horrendous smells in normal casts, but not with these 3D printed versions. At the same time, these casts are less restricting as far as movement goes, and much lighter in weight. So how exactly does a patient get fitted with one of these things? It’s really quite simple. First a patient has his/her broken limb scanned by a special 3D scanner. It is then loaded into a computer where it can be tweaked before being 3D printed in a plastic material. Once the cast is 3D printed flat, heat is applied and the cast is then molded into the correct shape. 3D printing of the cast takes approximately 15-40 minutes depending on the size required and the subsequent forming takes another 3-5 minutes. These casts, which are not just for broken bones but can be utilized as braces for bruises, sprains, dislocations, joint disease, age-related body changes, and post-operative recovery, also won’t cause rashes, ulcerations, and the terrible infections seen with more traditional casts. One of ZDRAVPRINT’s founders, Fyodor Aptekarev tells Lenta.ru that he got inspiration for the design of the casts by fashion designer, Franci Bitonti, and his 3D printed dress. This, on top of the fact that Aptekarev has suffered numerous broken bones over the course of his life, drove him to try and come up with a better solution, one that could hopefully some day soon gain traction and replace the current out-dated methods being used today. While this is a great solution to many of the current problems seen by cast wearers, the more traditional casts still must be worn for about a week after a break occurs. This is because these new casts don’t allow for the same wiggle room when it comes to adjusting and setting a patient’s bones. Aptekarev believes it will take some time before there is a widespread adoption of these types of casts. He believes that it will be about 7 years before we really begin seeing doctors around the world utilizing 3D printing to create casts for their patients. What do you think? Is this a future treatment for broken bones? 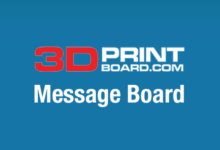 Discuss in the 3D printed cast forum thread on 3DPB.com.